Spin the ball off a sticky rubber for a curved shot that's difficult to return. A sticky paddle gives you better accuracy, velocity and control of spin, enabling you to make Olympic-quality kill shots. 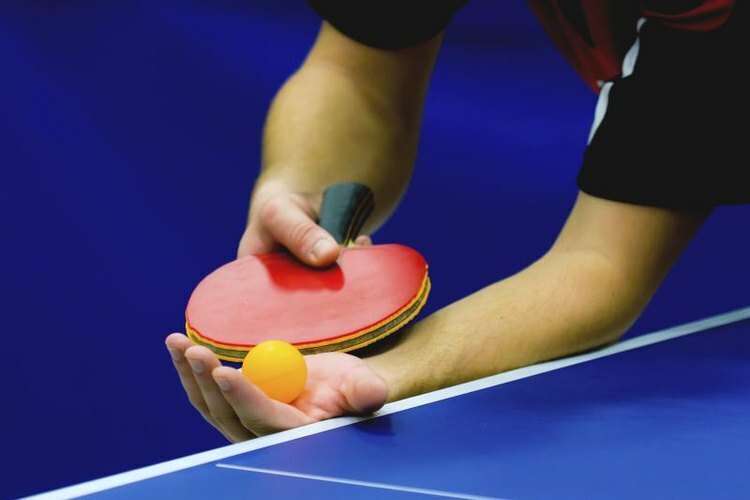 But the rubber on pingpong paddles tends to lose grip over time, lasting about 80 hours' worth of playing time. And once the rubber is dead, it's dead; there's no coming back. Give your paddle a good, long, grip-enhanced life by taking care of it properly. Each side of the wooden racket is covered with two layers of rubber. The first layer, sitting directly on the racket, is yellow and called a sandwich rubber. But the second layer varies depending on which side of the paddle it is on. The forehand side of the paddle, used for high-velocity shots, is colored red. The backhand side is black. Most players make the forehand side sticky and may leave the backhand side as is. But you can make either side sticky per your preference. A sticky paddle catches the ball so that it can compress into the rubber, hit the wood and burst back out. Purchase an artist's brush -- medium size works best -- and some sunflower oil. Submerge the brush completely into the oil, hold it there for a few seconds and then completely cover the rubber on the paddle. Let the oil soak in for about 30 minutes. Repeat the process twice more. The oil will give the rubber on the paddle tackiness and longevity. Make sure to keep the rubber clean, wiping it down with your hand and a small bit of water after every use. Cover the paddle with a plastic pingpong paddle protector or slide the paddle into a plastic baggie. Store in a cool, dry place. YouTube.com: How Do I Increase the Grip of My Table Tennis Rubber?